This Mexican folk art cross with striking gold leaf was handcrafted and handpainted in Mexico. Religious folk art is a long standing tradition throughout Latin America. 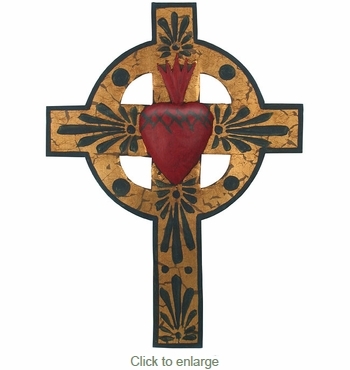 These folk art wall crosses are perfect for your southwest d�cor. These items can be displayed in a traditional home altar, or given as a special religious gift.